Bringing fresh, clean water to homes and businesses is an essential part of keeping our community strong. As local business owners, family members and home owners, we have lived and worked in this community for over 30 years. Our mission is to provide the highest quality service available to you, our neighbors and community members to drill, pump and service water wells on your property. Whether for home or business, you can count on Drew and Hefner Water Wells where our name is our reputation. 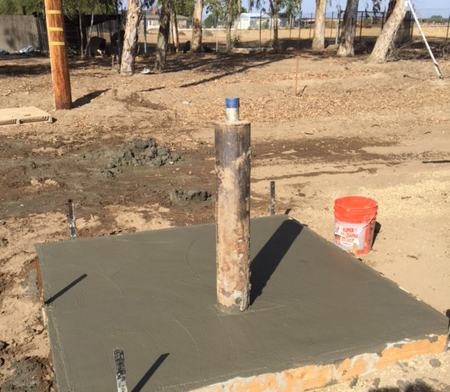 Our highly skilled technicians will efficiently and effectively drill and service any type of water well including: Domestic Wells, Agriculture Wells, Municipal Wells, Industrial Wells, PVC Cased Wells, Steel Cased Wells. We provide outstanding skill and workmanship to areas in and around Madera, Chowchilla, Fresno and Merced. Our experience and commitment to quality is easy to see. We provide many services to our local community to assist in bringing and keeping clean, fresh water flowing. We provide Test Holes, Well Inspections, Well Destructions, E-Log Services, New Pumps, Pump Repairs and all related services. Contact us today to see how Drew and Hefner can provide quality service to you.